Today is Monday, February 15th. Did you have a lovely Valentine's Day? Sweetheart and I had a wonderful Valentine's Day. We worked in our garden in the afternoon. I received a beautiful card and a bouquet of roses. and we watched Downton Abbey my favorite series. I found the darling knitted hat in a shop at the Hotel Chateau Frontenac. I love the cable stitch on my tea cozy and hat, so I wanted to have a cup cozy with cable stitch too. I found a pattern on the Internet with the knitted cable stitch. with a vintage button closure. 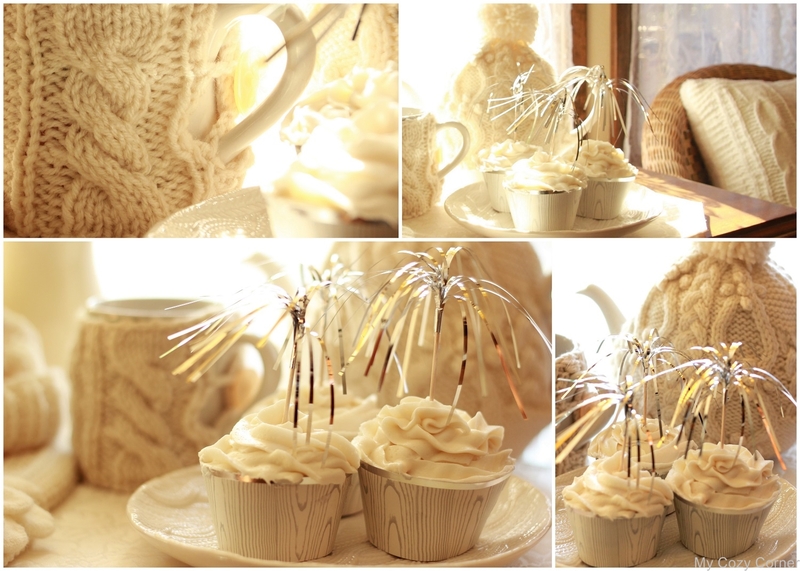 To add to the sparkle of my Winter White tea I baked some cupcakes. Sparkles on the top of the cupcakes remind me of glistening snow. on clearance for a dollar. I couldn't pass it up. the little white gloves I found at Joann's fabric store for a dollar. The sun was shining in the window on my Winter White Tea Time. I love drinking a cup of tea and eating a treat in the afternoon. Oh, Betty - your winter white tea time is awesome - you did an amazing job on your knitted cable tea cosy! Everything looks so nice together! Have a wonderful and blessed tea-lightful day and week! Your corner really is very cozy today with these darling items. Even the tea cozy is warm. 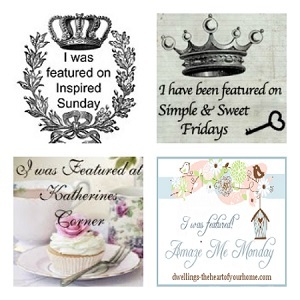 I love the softness of your post and each item is so pretty! Thanks bunches for sharing! What a cozy tea setting! Thanks so much for visiting!! I LOVE your Winter Tea especially your cup and tea pot cozies!! So cute!! Betty, your Winter White Tea is so pretty. I love the knitted tea cozy, mug cozy, and pillows. The plate was a cute find and goes so well with everything. The cupcakes look wonderful too. Thanks so much for sharing and have a lovely day. This is very pretty and I love the cupcake papers. The knit items add lots of warmth and a huge dose of "cozy" to this post. 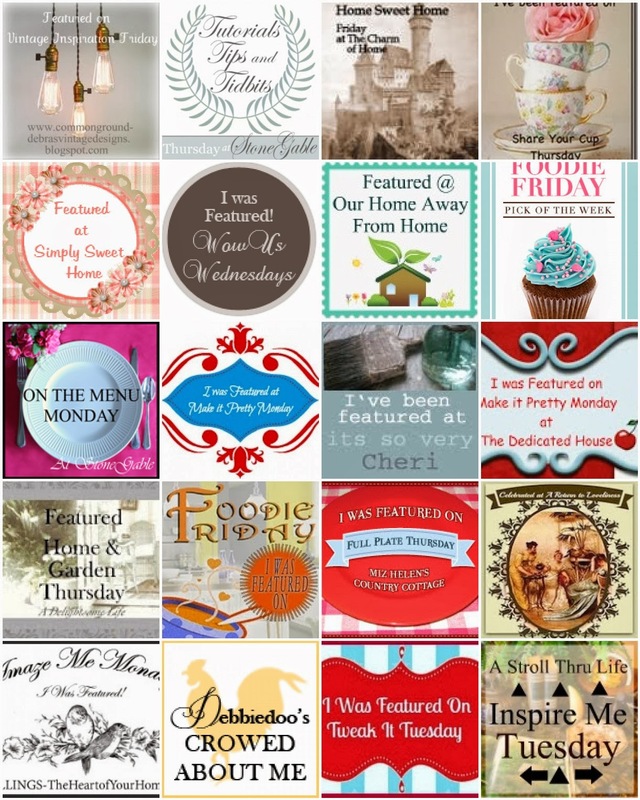 We would love for you to share it at Celebrate Your Story link party. Here's where to link up: http://www.thesweetsensations.com/welcome-to-celebrate-your-story-link-party/. Hope you're able to join us and have a relaxing evening. Love this setting! Those cupcakes look so delicious. Your cable knit tea cozy is adorable, I've never seen one for a tea pot before. I really love, love, love the cozy you made for the cup though. I want one! You did a great job, it looks fabulous! Joining you for Tablescape Thursday. 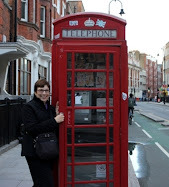 Betty, I will be featuring your post at No Place Like Home on Monday. Enjoy your weekend. Your tea cozy is the best! Thanks for joining Home Sweet Home! How soft and beautiful. Just lovely!